Talent is rarely housed at one place and one place alone. While certain European houses do show a penchant for nurturing promising players, almost no locale can boast of an ideal home for individuals who are invested in the managerial side of things. As of such, when the opportunity arises, clubs try their best to not lose out on the chance of signing these big names, often for spots of sporting directors, managers, or transfer advisors. 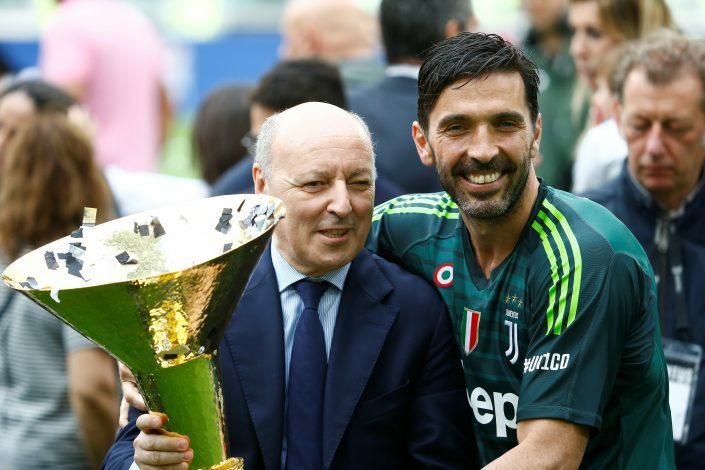 Juventus are on the verge of seeing one such upheaval soon, with club CEO Beppe Marotta announcing that he’ll be departing the Italian giants. This has led to speculation as to who will replace him, with current sporting director Fabio Paratici being touted as a possible name. What makes matters interesting, however, is that Partici is also being linked to Manchester United, and given his successful run as a scout and the kind of deals he has brought to Juventus, it is easy to see why he may be a strong solution to the woes currently rampant at Old Trafford. However, it appears that the Red Devils may be looking at a different swoop altogether. As per Tuesday’s front-page story of Corriere Dello Sport, United plan on a huge double swoop, with Beppe Marotta coming in as the club’s sporting director and Antonio Conte taking over Jose Mourinho to be the side’s manager. This duo had a brilliant run at Juventus in the past, and if it is indeed true that the higher-ups at United are working on such an idea, then it is clear that they are not satisfied with the direction in which the Woodward-Mourinho pairing is taking the club. Speaking of Woodward, the once hallowed transfer specialist may have to settle for solely the business side of affairs if the likes of Marotta are being considered for the sporting director’s seat.